Although it sounds complicated, cloning a cannabis plant is a relatively straight forward process. You just need to know how. We have put together a guide covering the fundamentals. 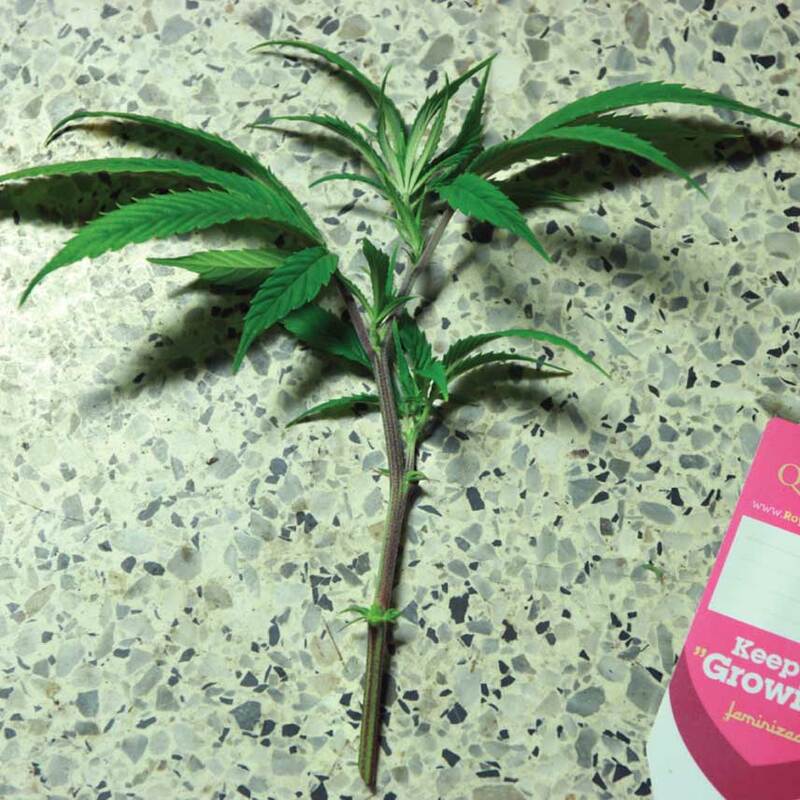 Cloning means making a copy of a cannabis plant with a cut off piece (“cutting”) from the parent plant. The cutting will then grow roots on its own and will grow into an almost identical plant (“clone”) as the mother plant. Cloning is an easy, fast, and economical way for growers to make new cannabis plants. What’s special about cloning cannabis is that the clone will have the same genetics as the parent. This means that the new plant will have identical qualities and characteristics. If you take a clone from a female, you will know for sure that the new plant will be female too. If you have a favourite cannabis plant with qualities that you like, such as a great taste, good potency or yield, you can grow dozens of free copies of this plant. Cloning cannabis means that you can preserve your best plants almost indefinitely! 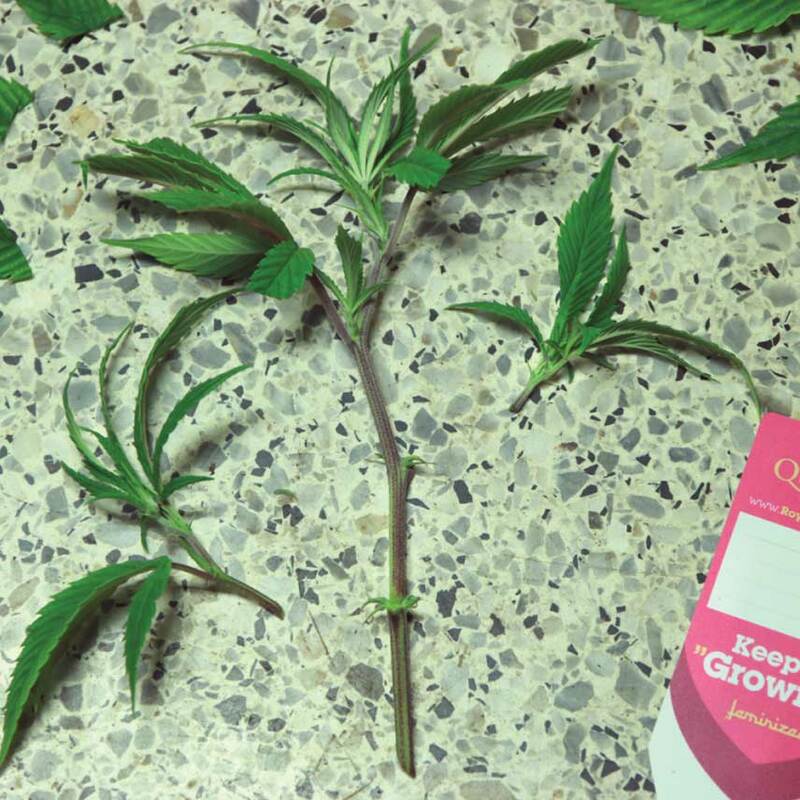 Cloning cannabis involves cutting a piece of a plant and giving it the opportunity to grow new roots from its stem. Yet, if you do some reading around on cloning cannabis on the internet, you may find different opinions on the best way to go about it. While some cloning methods may vary, some guidelines apply to all methods. To get you started with cloning right, the first piece of important advice is to always select your best and healthiest plants for cloning. Let’s look at the required steps for cannabis cloning in more detail. The first thing to do is assess whether your cannabis is ready to be cloned. A good indication of readiness is when branches of the plant start alternating as they grow. Watch for branches that are not growing from the same spot on the stem, like is the case with younger plants. Once you have a plant that is ready for cloning, you need to clean and disinfect your tools. Know that freshly cut clones are very sensitive to bacteria, microorganisms, and dirt, making clean tools and a clean work-area is essential for cloning success. Read the instructions for your rapid rooters or starter cubes. Soak the starter cubes in water for several minutes before use. Rockwool cubes normally have a rather high pH, and this is why it is recommended that you soak them in water that you brought down to a pH of 4-4.5pH. Take a cutting. The best location on a plant to take a cutting is where there is new branching with a new top. You need to cut a little below this new growth at a 45-degree angle. Each cutting should be between 10-20cm long. Where you take the cutting from your plant matters. You can take cuts from any plant location, but new growth in the lower half of the mother plant will grow roots faster than cuttings taken from the top. This can make them better suited for cloning. As soon as you cut the cannabis clone, put it in a glass of water. This helps to prevent air bubbles from getting into the stem. If there are any big leaves at the bottom of the cutting or any large fan leaves, cut those as well. If the clone has too many large leaves, it may waste energy with photosynthesis that it should now better spend on establishing new roots. While some cultivars can grow clones with nothing but water, rooting helpers and cloning products with rooting hormones help the clone to establish its roots faster. Rooting helpers are available in gel or powder form. You dip the bottom of your cuttings where you made the cut instantly into the gel or powder to seal the cut off. 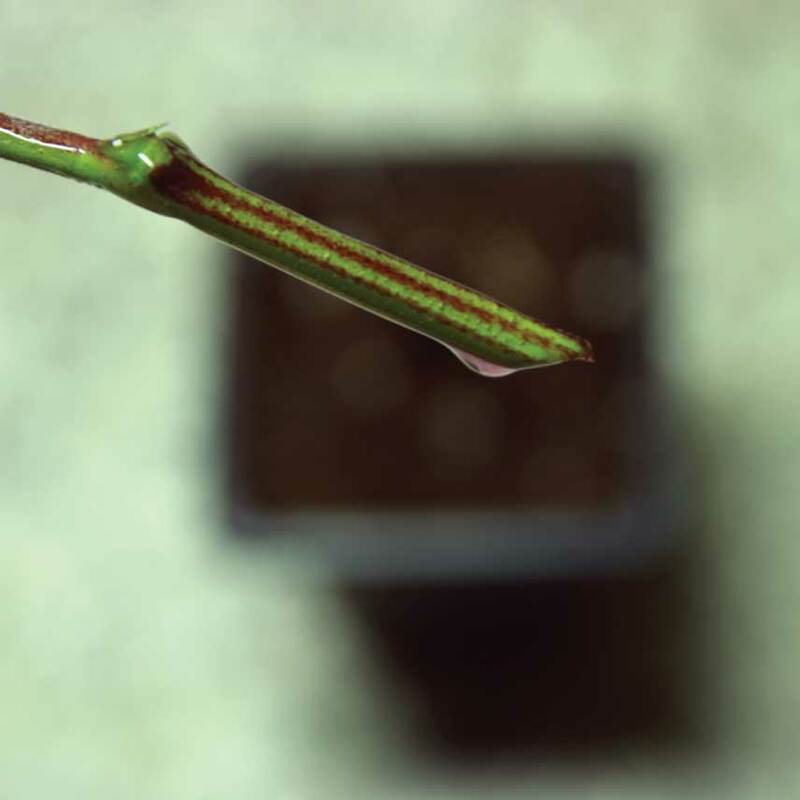 Some use both types and dip their cuttings into the gel first and after that into the rooting powder. Read the instructions for your products so you know how to use them properly. As a guideline, cover the entire area of your cutting that you will put into the starter cube with gel. Carefully place your clone into the moistened starter cube. You should slightly press the bottom of the cube to make sure that everything is tightly sealed. If you have an automatic cloner, humidity dome, or mini greenhouse, place your new clones inside. This helps to keep moisture trapped around the clones. The young clones don’t have roots yet, so they need to take in moisture from the air to grow. Although not required, a humidity dome or mini greenhouse can greatly help with growing your clones. Your clones should be placed in nice warm and wet conditions. If you don’t use a humidity dome, mist your clones several times a day. The perfect temperature for your clones is slightly above room temperature, 22-25 °C. If you grow in cooler conditions, you can use a heating mat to keep the temperature in-check. Some commercial cloners and propagators come with an integrated heater and adjustable heat setting. As for the right light for your clones, they won’t require light for the first couple of days. After that period, you want to use a weak CFL bulb or special grow light for clones and seedlings to keep them growing. If you want to use your existing grow light, you may need to move it further up to decrease the light's intensity. What’s important is that you don’t supply light 24 hrs a day but keep an 18/6 light schedule for your clones. The period of darkness is where most of the root growth happens. Your clones are ready to be transplanted when you see roots coming out the Rockwool or starter cubes. Remember that your new clones don’t have roots, they need moist and misty conditions. Frequently mist to keep their leaves moist especially in the first week. Watch out for mould growth. If the clones are under a humidity dome, lift the top several times a day to prevent mould from growing. Not a requirement, but it can help your clone’s growth when you spray them with a mild nutrient solution. Make sure to never contaminate your rooting gel or cloning powder. The slightest dust or dirt in the jar can spoil your cloning efforts. Never dip the clones directly in the jar with the gel or powder. Always take the required amount of gel or powder and put it into an external tray. Dip the clones in there. Store cloning gels and powders in a dark and cool place. 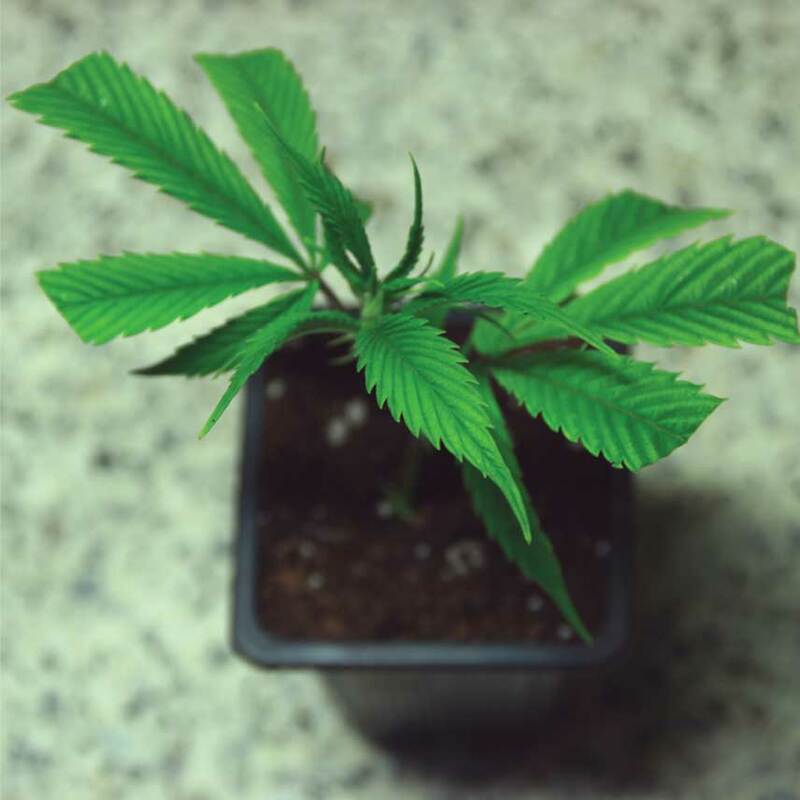 When you clone a cannabis plant, the clone will always be the same age and at the same growing stage as the parent. One of the best times to take clones is just before you flower the mother plant. 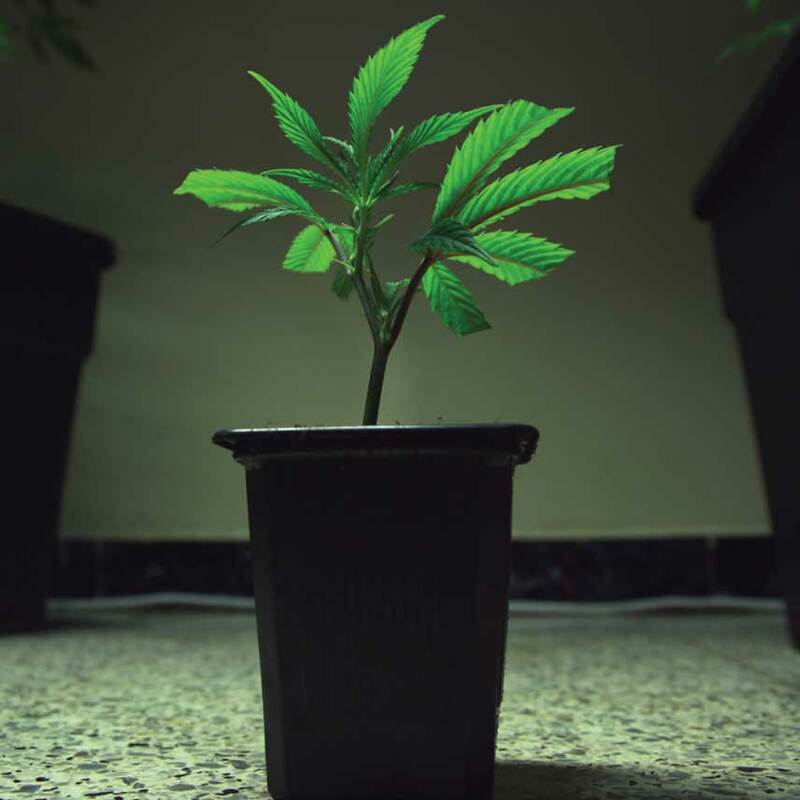 Don’t hesitate to grow more clones than you think you will need. Not all clones will always turn out a success, especially if you’re still new to cloning. It can be a good idea if you grow more just in case you should lose some. Be patient. Most clones should start rooting in several days, but some can take several weeks until they grow roots. You can keep desired mother plants for your clones in the vegetating phase for a long time. If you prevent them from flowering by keeping them under a vegging 18/6 light schedule, you can have mother plants that will give you clones for several years! With our marijuana cloning guide, making clones from your favourite cannabis plants should be easy. Pots vs. Soil, Which Is Best For Growing Cannabis Outdoors? Can Air-Pots And Smart Pots Increase Cannabis Yield? How Do You Prevent And Treat Nutrient Lockout In Cannabis?